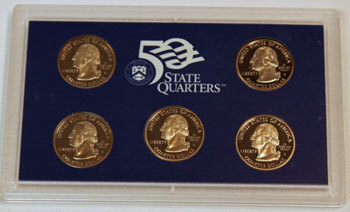 The 1999 proof set from the US Mint included the first five proof quarter coins of the state quarters program in one lens. 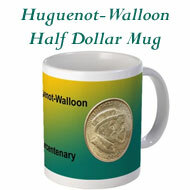 The other lens held the cent, nickel, dime, and half dollar proof coins. 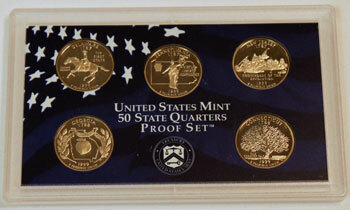 The US Mint initially sold the 1999 proof set for $19.95 each. 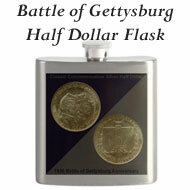 The set contained nine coins - penny, nickel, dime, five quarters and a half dollar - for a total face value of $1.91. The addition of a second lens required a change in the size of the box. 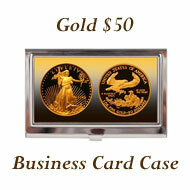 The 1999 proof set box measures roughly 3.5 inches by 5.5 inches by 11/16 inch. The front of the proof set box shows the blue-toned head of the Statue of Liberty on the left. 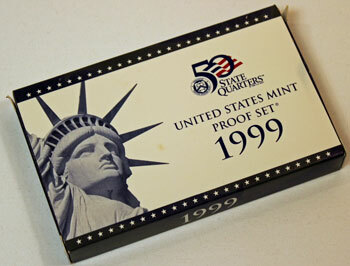 The 50 State Quarter program logo is on the right above the proof set's title of "United States Mint Proof Set® 1999" in blue font on a white background. The long edges on the front of the box have blue stripes, each of which includes 25 white stars. The long side edges, also blue, include "1999" in white font. 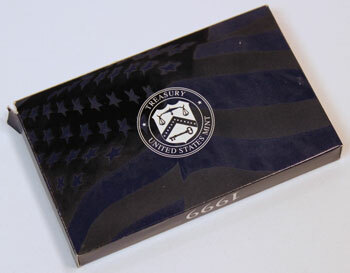 On the back side of the 1999 proof set box, a blue-toned flag forms the background for the white Department of Treasury United States Mint seal. 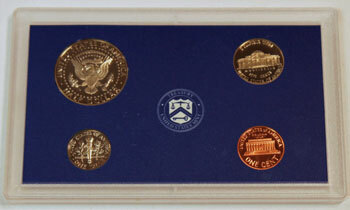 The 1999 proof set included the outer blue and white box; the protective lens with the penny, nickel, dime and half dollar proof coins; the protective lens for the first five state quarter proof coins and a thick card folded in half with blue print detailing the 1999 Proof Set Certificate of Authenticity and Coin Specifications. 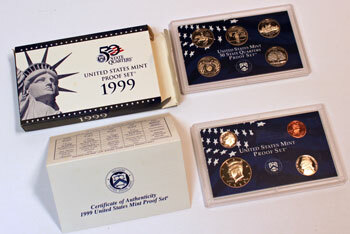 These pictures show the coins and contents of the full 1999 proof set, however the US Mint also offered a proof quarters set that only included one lens with the first five quarter proof coins. And, though the US Mint did produce the Susan B. Anthony dollar in 1999, the decision to do so was made too late to include the dollar proof coin in the 1999 proof set. A blue-toned flag with white stars forms the contrasting background on the cardstock holding the penny, nickel, dime and half dollar coins. 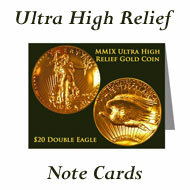 With the obverse coin designs showing, the card stock has the title "United States Mint Proof Set®" in white letters. 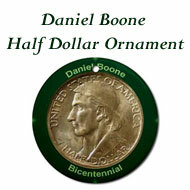 Below the title and between the half dollar and nickel coins is another white US Mint seal. 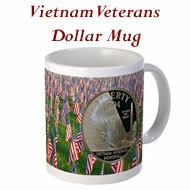 The frosted images on the coins contrast with their mirror-like background and with the blue-toned image of the flag. 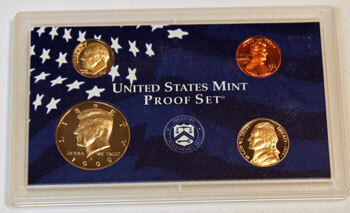 Caution: The US Mint did not produce a ten-piece 1999 proof set, however some individuals thought there should be a version with the dollar coin. 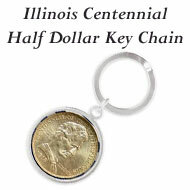 As a result, people have taken the five-hole insert from a 2000 proof set and inserted the 1999 proof coins including a 1999 dollar coin in the additional circle. This is not an official set and can be problematic to trade or sell. 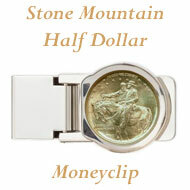 The Washington portrait continued on the obverse of all the new commemorative state quarters. But, look at how the quarters are positioned in the card stock. 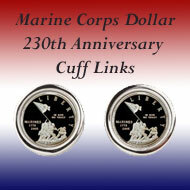 The obverse images show on a plain blue background with the 50 State Quarters emblem between the top two quarters. The card stock for the half dollar, nickel, dime and penny reverse designs is the plain blue similar to that for the quarters' obverse view. In the middle of the coins is a white US Mint seal. The blue-toned flag with white stars highlights the unique reverse designs on each of the first five state quarters. The state quarters were introduced in the order in which the states joined the Union. 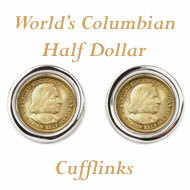 Or, in the case of the first 13 state quarters, the order was based on when the states ratified the Constitution. 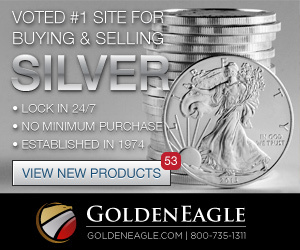 For the 1999 proof set, the state quarters included the first five states: Delaware (December 7, 1787), Pennsylvania (December 12, 1787), New Jersey (December 18, 1787), Georgia (January 2, 1788) and Connecticut (January 9, 1788). 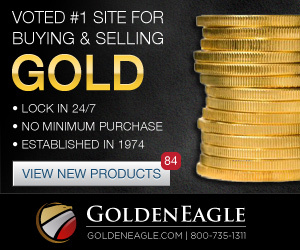 Click on the 1999 Proof Set Certificate of Authenticity and Coin Specifications to view the details about the individual coins in the annual proof set. The world population in 1999 was 6,013,490,977. This represents 87.8% of the world's population in 2010. $100 in 1999 equals $130.89 in 2010 dollars using the Bureau of Labor Statistics' Inflation Calculator. New houses in 1999 cost an average of $195,600 which would be $256,021 in 2010 dollars. 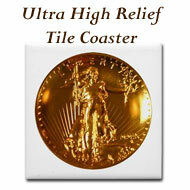 The average income was $30,470 per year which equals $39,882 in 2010 dollars. Gas was $1.165 per gallon which would be $1.525 in 2010 money. The average new car was $20,381 equivalent to $26,677 in 2010.